This study aims to determine the effectiveness of Environmental Education Learning Book (PLH) based on Local Potential of Tarakan city. The research method used in this research is classroom action research. Subjects in this study is a class A1 Department of Biology education FKIP University of Borneo Tarakan. The instruments used in this research are test and observation sheet. Analysis of test result data is done descriptively quantitative with percentage technique. 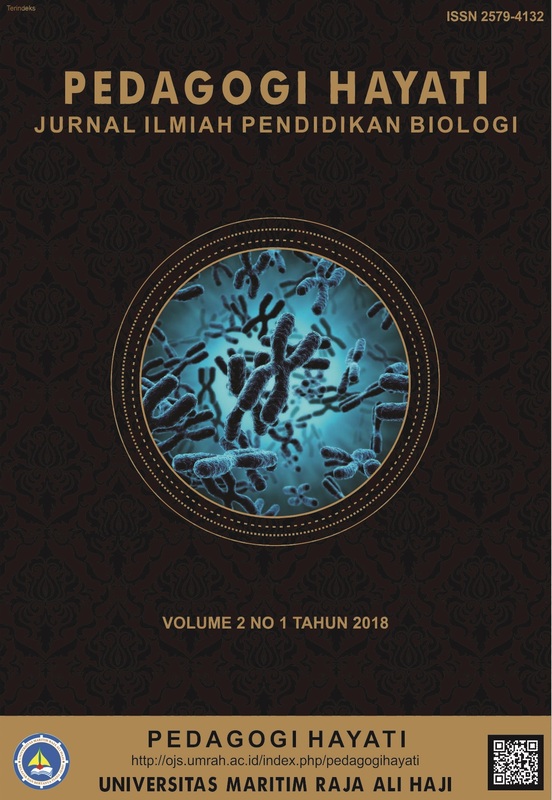 The results showed that the use of textbooks based on local potential of Tarakan can improve learning outcomes in the form of students' understanding of biodiversity and natural resource management in the city of Tarakan. Student learning outcomes in cycle 1 of 33.33% and on the second cycle of 94.44%. So it can be concluded the use of local potency-based textbook effective in improving learning outcomes.This study aims to determine the effectiveness of Environmental Education Learning Book (PLH) based on Local Potential of Tarakan city. The research method used in this research is classroom action research. Subjects in this study is a class A1 Department of Biology education FKIP University of Borneo Tarakan. The instruments used in this research are test and observation sheet. Analysis of test result data is done descriptively quantitative with percentage technique. The results showed that the use of textbooks based on local potential of Tarakan can improve learning outcomes in the form of students' understanding of biodiversity and natural resource management in the city of Tarakan. Student learning outcomes in cycle 1 of 33.33% and on the second cycle of 94.44%. So it can be concluded the use of local potency-based textbook effective in improving learning outcomes.